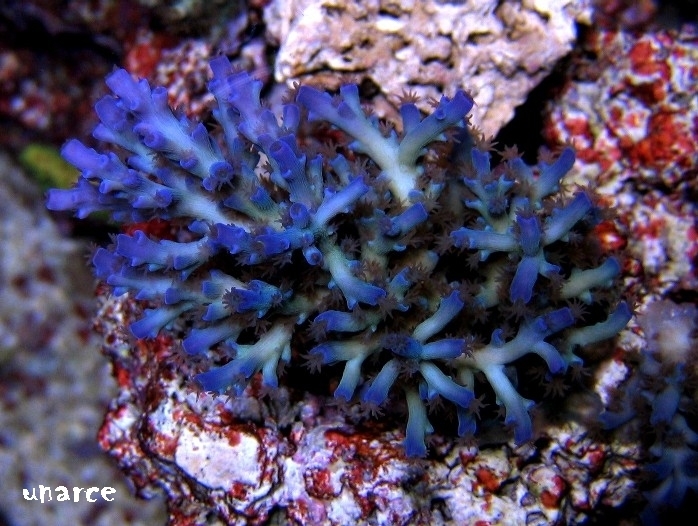 Icefire Echinata This coral is one of the widely accepted "true" echinatas. 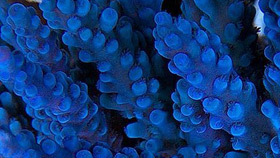 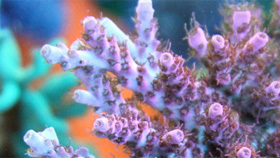 This beautiful thin branched coral was originally distributed by James Lee, former owner of A Reef Aquascene in Hayward, CA. 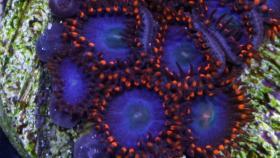 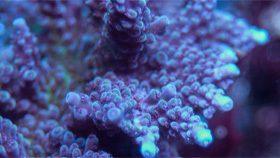 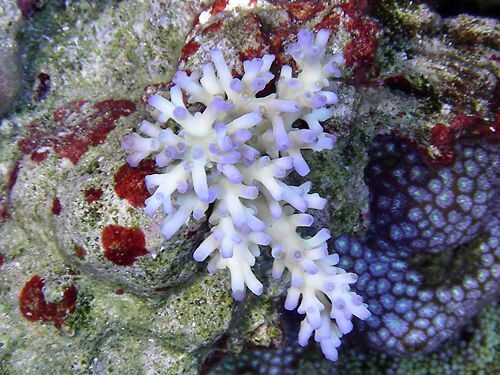 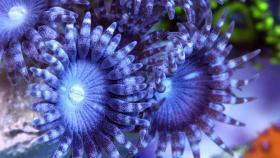 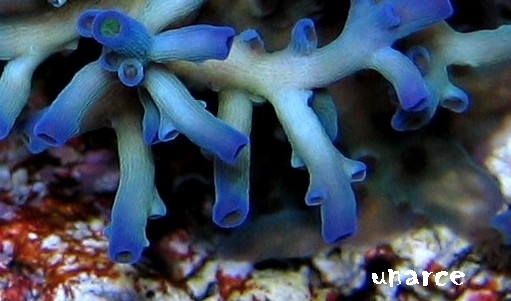 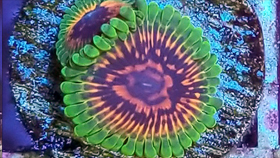 In some aquariums, this coral is white with blue tips, in other tanks, it can appear a light teal color with blue tips. 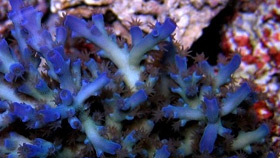 In either case, it is gorgeous, and a "true" echintata with blue tips.